Suffragist, social worker, first woman elected to the United States Congress, a lifelong peace activist, and a tireless advocate for political reform, Jeannette Rankin is often remembered as the woman who voted "No." 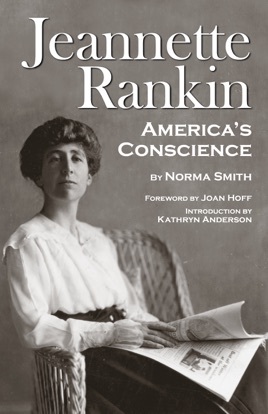 Elected to Congress from Montana on the eve of the United States' entry into World War I, Rankin cast her first vote - the first vote cast in the House of Representatives by any woman - against the declaration of war against Germany. Reelected to Congress in 1940, she repeated her vote, becoming the only member of Congress to vote against the United States' involvement in World War II.Jeannette Rankin was a woman who lived her conscience, and she became America's conscience through her unflagging campaigns for children's protective legislation, women's rights, election reform, and most of all, peace. Her determined voice shines in this biography, written by her friend, Norma Smith, who paints a convincing portrait of a complicated activist based on interviews with Rankin in the 1960s.